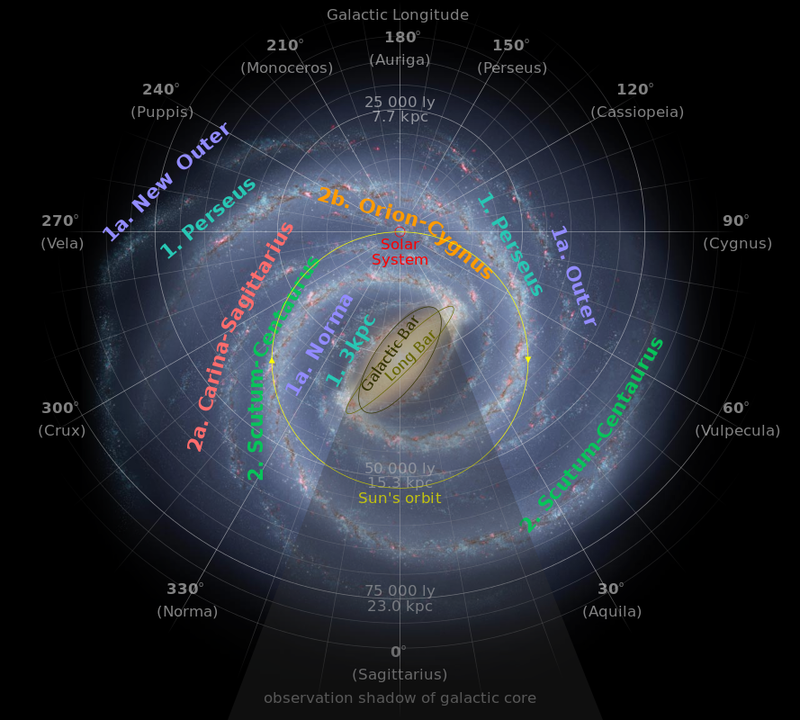 A galactic year (also known as a cosmic year) is the amount of time it takes for our solar system to orbit the center of the Milky Way. Traveling at 514,000 mph relative to the galaxy’s center, that works out to between 225 million and 250 million years in one orbit. To put it in perspective, the Big Bang is estimated to have occurred 61 galactic years ago. Life on earth began 15 galactic years ago. Man appeared 0.001 galactic years ago. In just 2-3 galactic years in the future, the moon will be so far away from earth that total eclipses will no longer be possible. In 22 galactic years the Milky Way and Andromeda begin to collide. A scant 3 galactic years after that, the sun will eject a planetary nebula, leaving behind a white dwarf. Presumably the day after that, income tax rates will finally begin to drop.